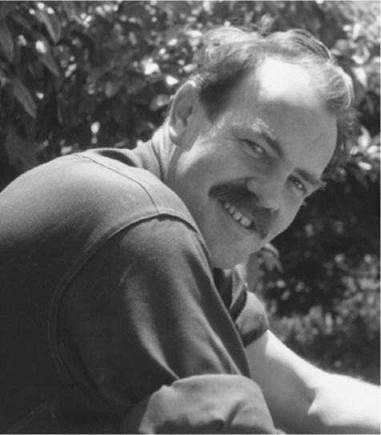 New Zealand fiction writer Maurice Duggan is best known for his short fiction, often targeted at children. His stories focus on carefully observed physical detail and realistic environments and feature glum characters. Among his best-known works is the award-winning Falter Tom and the Water Boy (1957). Early Losses. Duggan was born in Auckland, New Zealand, on November 25, 1922, the eldest child of Irish immigrant parents, Robert and Mary Duggan. Seven months after the birth of her fourth child, Duggan’s mother died of heart failure. Her sudden death devastated the young Duggan. As a child, Duggan attended St. Benedict’s Convent School and St. Joseph’s Convent School. He was an unremarkable student whose main interest was sports, not literature. when he was eighteen years old, Duggan was diagnosed with osteomyelitis—a bacterial inflammation of bone and bone marrow. Duggan’s leg had to be amputated just below the knee. The amputation ended his all-absorbing interest in sports and prevented him from following his friends into the army during world war ii. while the war had begun in Europe as a conflict between Nazi Germany and the allies fighting that country’s aspirations toward dominance, there was also a theater of conflict in the Pacific, as the Allies, including the United States and Great Britain, fought against Japan. New Zealand fought on the side of the Allies, and New Zealanders served in both theaters with distinction. The war, however, did not reach New Zealand itself. Writing Years. The amputation changed Duggan’s life and seemed to have spurred his desire to write. By 1944, he had made contact with Frank Sargeson, New Zealand’s most famous writer of the time, and the older man soon became his mentor. Duggan evokes this period movingly in ‘‘Beginnings,’’ which appeared in the magazine Landfall in 1966 as part of a series on how New Zealanders started writing. Duggan’s first efforts, though encouraged by Sargeson, were less than remarkable in their overblown use of language and a disregard for convention. Yet as the young writer evolved, his stories became highly stylized and sophisticated. Duggan made his breakthrough with ‘‘Six Place Names and a Girl’’ (1949), published in Landfall. Attempts at Writing a Novel. In 1950, Duggan traveled to England, a country still recovering, like much of the world, from the end of world war ii a few years earlier. During his two years in Europe, he attempted to write a full-length book. Parts of the uncompleted work were eventually refashioned into short stories, including ‘‘Guardian,’’ ‘‘in Youth Is Pleasure’’ (1953), and ‘‘Race Day.’’ At the same time that Duggan was writing these stories featuring the Irish Lenihan family, he was also working on a travel diary titled ‘‘Voyage.’’ The three-part story features his journey by ship to England, a holiday through Italy, and his adventures in Spain. It was widely admired when published in New Zealand in Landfall in the early 1950s. For the next few years Duggan seems, at least in retrospect, to have been trying to bring the richness of his style into the New Zealand realist tradition, with stories such as ‘‘The Wits of Willie Graves’’ and ‘‘Blues for Miss Laverty’’ (1960). ‘‘Blues for Miss Laverty’’ was written during Duggan’s year as Robert Burns Fellow at Otago University, and it is during this fertile period that he produced two long monologues that effectively pushed the New Zealand short story out of its social-realist rut. Decreased Output. After ‘‘Along Rideout Road that Summer’’ (1963), a story which retains many of the themes of conventional New Zealand fiction, in the remaining fourteen years of his life, Duggan completed only a handful of stories. ‘‘O’Leary’s Orchard’’ (1963) and ‘‘An Appetite for Flowers’’ (1967) each attracted great attention when it appeared. Duggan died on November 11, 1974, in Auckland. ‘‘The Magsman Miscellany,’’ which was published in 1975, one year after Duggan’s death, caused a sensation with its skillful use of form and its relevant story of a writer’s relationship with fiction. Carl Sandburg (1878-1967) Famed American poet who also wrote children's tales, including a study of Abraham Lincoln. Cesar Chavez (1927-1993): A Mexican American farmworker, he was also a labor leader and civil rights activist who cofounded the National Farm Workers Association. Philip Larkin (1922-1985): English poet who gained attention when he turned down a poet laureateship. He was deemed by readers as his nation's best-loved poet. Martha Gellhorn (1908-1998) American journalist, novelist, impassioned liberal and glamorous friend of the famous, who was also the third wife of Ernest Hemingway. James W. Tate (1875-1922): English-born American pianist, composer, songwriter, and accompanist, who created popular pantomimes and revues. The House on Mango Street (1984), a novel by Sandra Cisneros. In this tightly styled work, the main character, Esperanza, tells her story of growing up a Chicana girl in Chicago. ''Soldier's Home'' (1925), by Ernest Hemingway. This concise short story is about Harold Krebs, a soldier returning from war. Tumble Home (1998), a prose collection by Amy Hempel. In this collection are a novella and several short stories, all centered on characters making their way home. Where I'm Calling From (1988), by Raymond Carver. This collection of contemporary short stories set in the Pacific Northwest involve the simple but miserable lives of common and working-class Americans. Duggan was encouraged by Sargeson though he never really adopted his mentor’s colloquial style. From the beginning, Duggan’s early stories, such as ‘‘Sunbrown’’ and ‘‘Notes on an Abstract Arachnid,’’ displayed wordiness and a lack of interest in conventional forms. His first attempts were weakened by what Duggan himself described as ‘‘a habit of rhetoric,’’ but as he developed, his stories showed a stylishness and sophistication previously unknown in New Zealand fiction. ‘‘Six Place Names and a Girl,’’ to which Sargeson contributed the title, proved a breakthrough because of this style—with its almost minimal plot and its brief, evocative descriptions of areas on the Hauraki Plains. At the time of its publication, its one-word sentences and composite words seemed technically very daring. Influences. With some allowance for artistic license, many of the events in his stories mirror Duggan’s own early life. These works also inspired by his mentors include pieces that further show the influence of James Joyce. In Duggan’s Lenihan stories—‘‘Guardian’’, ‘‘In Youth Is Pleasure,’’ and ‘‘Race Day’’ for example—there is the clear influence of Joyce’s Dubliners. Yet the Leni- han stories are some of the finest series written by a New Zealander. Dark Themes. Duggan employed a stark style in his work through the 1950s. ‘‘The Deposition’’ and ‘‘A Small Story’’ are typical stories of this period—written in a rigorous, spare prose style, with the motif of the gate that the children swing on reflecting the futility of all action. Such stories also point to Duggan’s bleak outlook, reflected in many of his underlying themes. ‘‘Riley’s Handbook,’’ for example, consists of the ravings of an artist named Fowler who has escaped his wife and family to become a bar-man and caretaker in a sprawling rural hotel. His attempt to revise his identity requires a new name, Riley, and even more. Riley forms a relationship with Myra, another worker in the hotel, and rails bitterly against the absurdity of both his former and adopted lives. The story’s atmosphere of utter despair would be hard to take were it not for Duggan’s unique skills. There is a comic exuberance of language, a sense of reveling in melancholy, and the skill with which the story’s characters are drawn. Despite the scarcity of Duggan’s output he has been ranked with Katherine Mansfield and Frank Sargeson as one of New Zealand’s greatest exponents of short fiction. Several stories by Duggan have been widely admired for their virtuosity of style and their lyric power. His travel diary, ‘‘Voyage,’’ was also well received. The descriptions of the isolated landscape and of the harsh lifestyle of the family blend effectively with the tale of corruption. The Lenihan Stories The Lenihan stories are built around the lives of the Lenihans, an Irish immigrant family living in Auckland. Its rigorous, spare prose style, and the motif of the gate the children swing on, reflecting the futility of all action, are typical of the stories of this period and are critically admired. These Lenihan stories have been compared favorably with Mansfield’s Karori works on the Burnell family, which were written under similar circumstances. The Lenihan stories were mostly published in Duggan’s first book, Immanuel’s Land (1956), and have remained among the most popular of his works. 1. Investigate New Zealand—its history, geography, culture, and people. Write a paper that explains how the setting of New Zealand contributes to Duggan’s themes, perhaps choosing a specific story to illustrate your argument. 2. Visit the New Zealand Book Council Web site (cited below), search for Jack Ross, and read one of his poems (such as “Cover’’). In a group, identify the images that make Ross’s poem one about the ‘‘new’’ North Shore of New Zealand. Then, identify the ‘‘old’’ New Zealand in an early Duggan story. What does your comparison say about changes to the country’s culture, technology, politics, or physical geography? 3. Duggan’s earliest story, ‘‘Six Place Names and a Girl,’’ proved a breakthrough with its minimalist tendencies. Research ‘‘minimalism’’ online with a partner. Make a list of characteristics of the genre and find examples of minimalist writing/writers. As you read a Duggan story, discuss how this technique affects the reader. Richards, Ian. A Reader’s Guide to the Stories of Maurice Duggan. Wellington, New Zealand: Lonely Arts, 1998. ________ To Bed at Noon: The Life and Art of Maurice Duggan. Auckland, New Zealand: Auckland University Press, 1997. Stead, C. K. In the Glass Case: Essays on New Zealand Literature. Auckland: Auckland University Press, 1981. ________ ‘‘Maurice Duggan: Language Is Humanity.’’ In Kin of Place. Edited by C. K. Stead. Auckland: Auckland University Press, 2002. Baxter, James K. Review of Immanuel’s Land. Education 6, no. 1 (February 1957): 65. Bertram, James. Review of Immanuel’s Land. Listener 6, no. 900 (November 2, 1956): 12. Copland, R. A. Review of Immanuel’s Land. Landfall 11 (March 1957): 77-80. Evans, Patrick. ‘‘Maurice Duggan and the Provincial Dilemma.’’ Landfall 36 (June 1982): 217-31. Pearson, Bill. Review of Immanuel’s Land. Here & Now 60 (September 1957): 32-33. Sinclair, Keith. ‘‘Maurice Duggan 1922-1974,’’ Listener 77, no. 1834 (January 25, 1974): 22. Sturm, Terry. ‘‘The Short Stories of Maurice Duggan.’’ Landfall 25 (March 1971): 50-71. Dictionary of New Zealand Biography. ‘‘Duggan, Maurice Noel, 1922-1974.’’ Retrieved March 31, 2008, from http://www.dnzb.govt.nz/dnzb/. New Zealand Book Council. New Zealand Writers: Duggan, Maurice. Retrieved March 31, 2008, from http://www.bookcouncil.org.nz/writers/dugganmaurice.html. University of New Zealand Library. New Zealand Literature File: Maurice Duggan. Retrieved March 31, 2008, from http://www.library.auckland.ac.nz/subjects/nzp/nzlit2/duggan.htm.